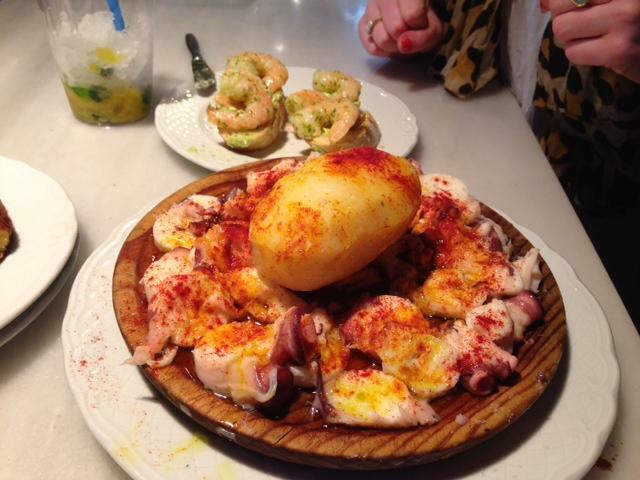 On my recent visit to Madrid, there was one thing that really blew me away – the food. 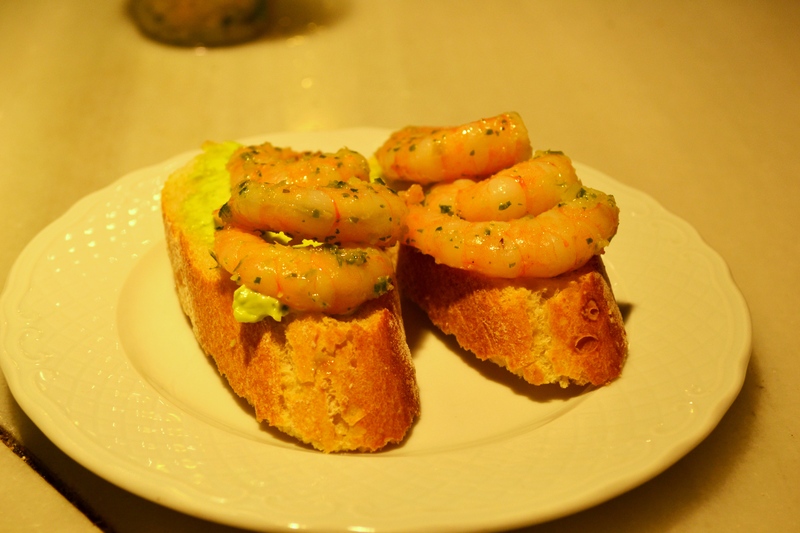 My experience with Spanish cuisine was limited prior to my trip and the tapas I ate in Madrid were a world away from what I had sampled before. From sumptuous seafood to the heavenly Iberian ham, which melts on the tongue, Spanish cuisine has rocketed to the top of my gastronomy hotlist. Delicious patatas bravas with aioli at Estado Puro (Plaza de Neptuno) – the place to eat tapas in Madrid. 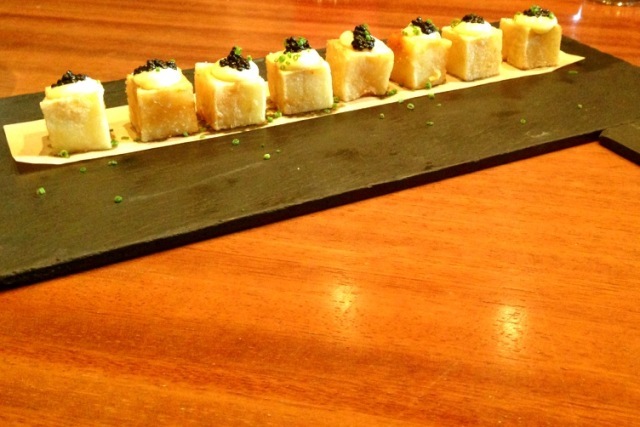 This was one of a selection of high-end tapas we sampled at the Chef’s Table (we opted for the tasting menu). The tapas were out of this world. And make sure to try the sangria! 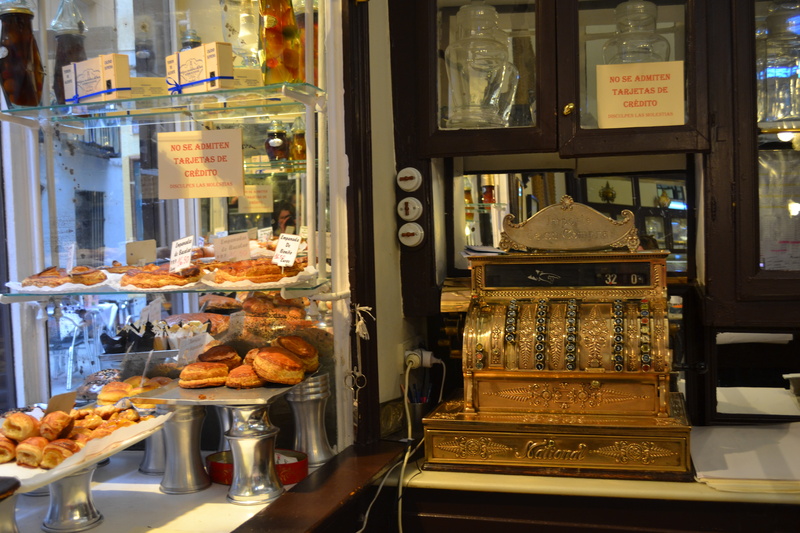 This is the oldest bakery in the city – check out the ornate cash till! Everywhere you go you get tapas with your drinks. 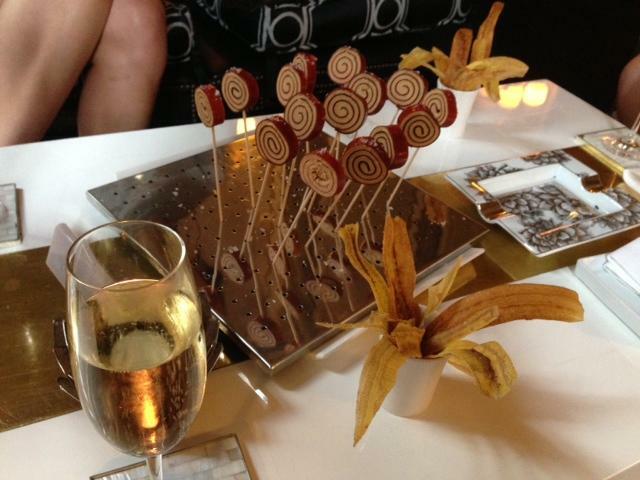 We enjoyed a luxurious stay at AC Santo Mauro hotel* and these were some of the tasty treats we were offered with our champers. Clue: they are not jam rolly polly lollypops (as I initially thought) – it’s foie gras! The crunchy crisp-like snacks are fried banana. Simply the best octopus I have ever eaten – at MM in the Mercado de San Miguel (the Borough Market of Madrid). Huge prawns at MM in the Mercado de San Miguel – delicious. 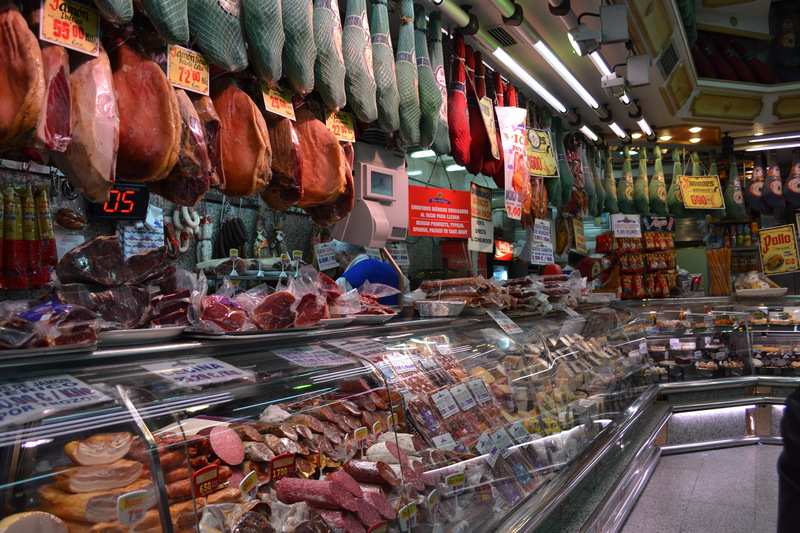 There’s no ham like Iberian ham, which comes from a particular ancient breed of acorn-eating Iberian pig. Apparently, it’s rather healthy too as it has far less cholesterol than other ham products. 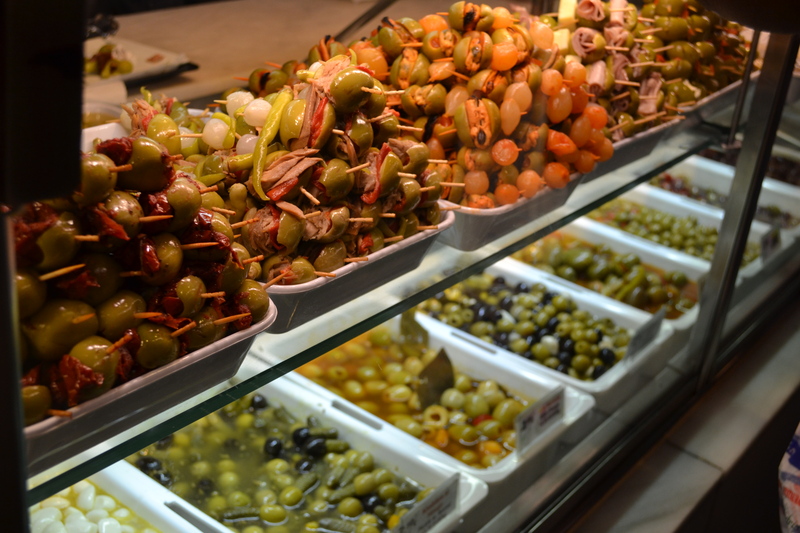 Beautiful stuffed olives at the Mercado de San Miguel. 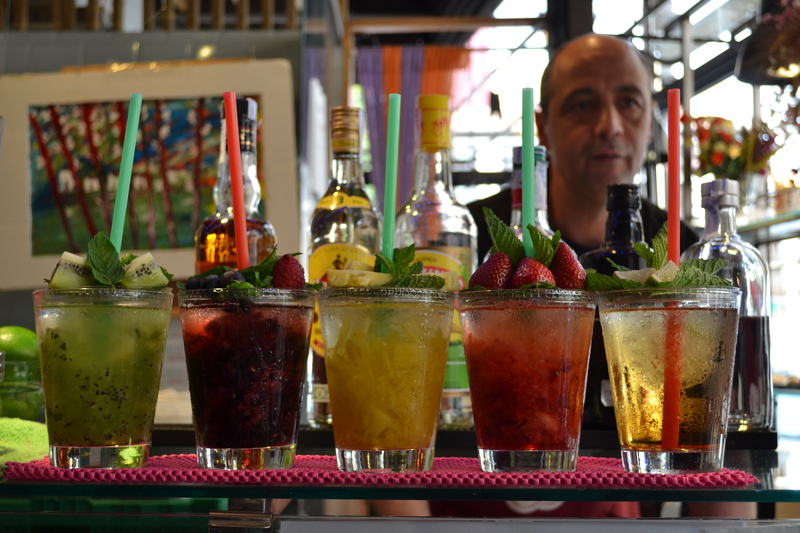 And what better to wash this all down with than a fruity mojito? 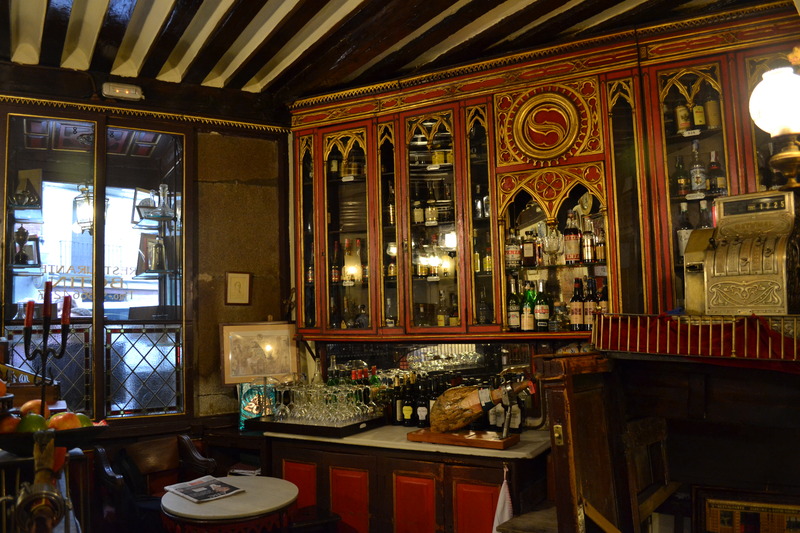 Casa Botín is the oldest restaurant in the world, according to the Guinness Book of World Records. It has been a restaurant since 1725, and is known for its roasted suckling pig and lamb. One of the lovely old tiled signs you see across Madrid. 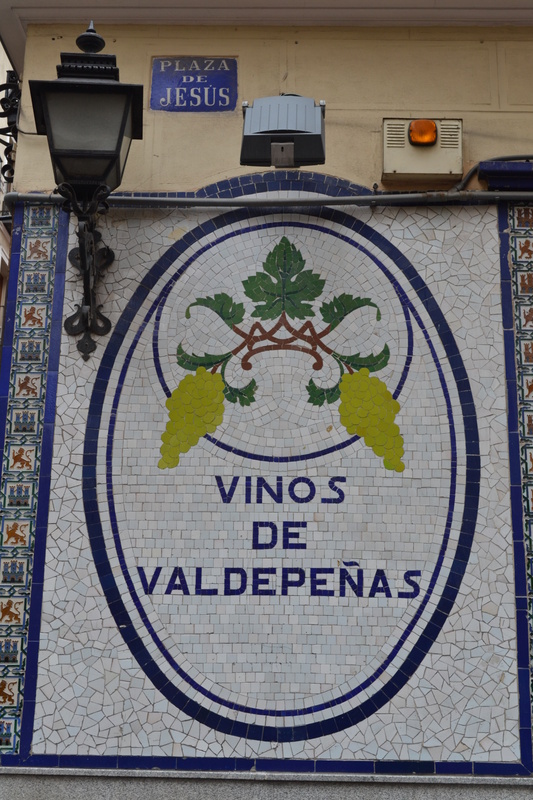 This one is for a lovely old bar – ironically on the Plaza de Jesus! Where are the mojito´s? Mercado de San Miguel?